Make customer experience (CX) your competitive advantage. Businesses are becoming more customer-centric out of necessity. 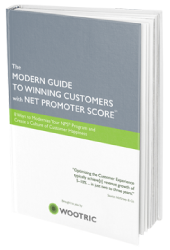 Today’s market leaders succeed by placing a premium on customer delight and retention. Now, with a modern approach to customer feedback, you too can make stellar customer experience your competitive edge. 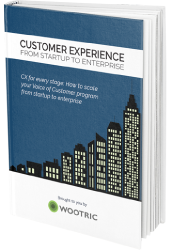 Wootric offers a full-featured, rigorous solution for improving CX and aligning everyone around boosting customer happiness. Customer-centric surveys deliver better CX feedback. Gone are the days of the tedious, “this will only take 10 minutes of your time” customer feedback survey — response rates are dismal. Customers expect to give you feedback on their own terms. 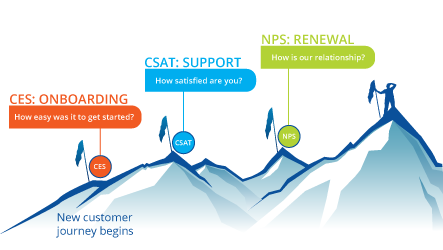 Wootric utilizes single question micro-surveys that quantify your CX with established metrics like Net Promoter Score, CSAT and Customer Effort Score, and invites your customer to explain their score in their own words. We take an intelligent approach to reach out to your customers at the right time, in the right channel with the right question. As a result, more customers are willing to provide valuable feedback. 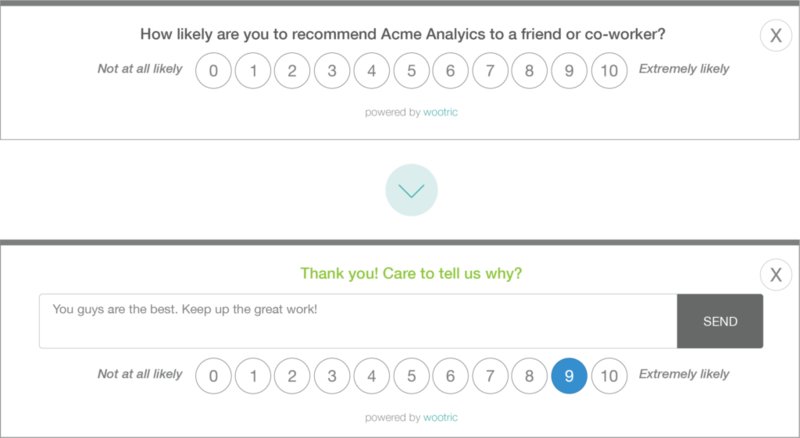 Wootric utilizes single question micro-surveys that quantify your CX with established metrics like Net Promoter Score, CSAT and Customer Effort Score and invite your customer to explain their score in their own words. We take an intelligent approach to reach out to your customers at the right time, in the right channel with the right question. CX needs a system of record. The team that is responsible for listening to everything your customers are saying — and distilling insights — needs a single source of truth for the Voice of the Customer. 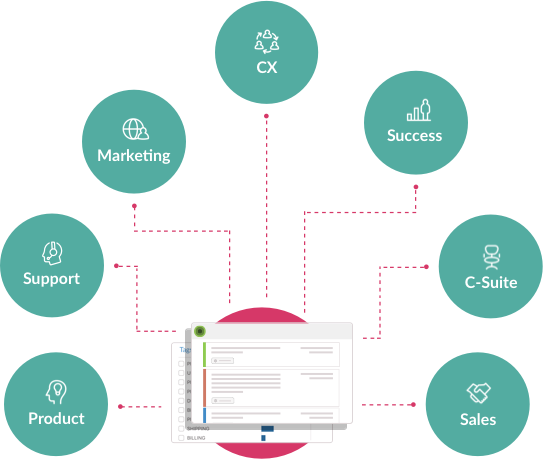 Marketing, Sales, Support and Product have a CRM or other platform tailored to their needs. Customer Insights professionals need their own system of record as well. 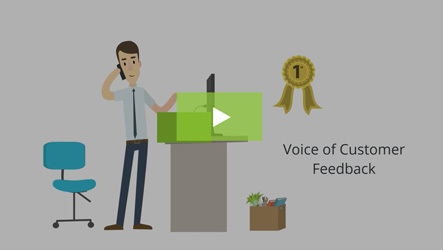 Wootric receives and analyzes all of your Voice of Customer data in one place, regardless of data source. We make it easy for you and your stakeholders to take action, too. Machine learning has transformed CX. Companies are inundated with qualitative feedback — the richest, most valuable Voice of Customer data. Until now it has been virtually impossible to see the forest for the trees. Natural language processing (NLP) can now unlock insights from the words of your customers — but it is hard to do it right. 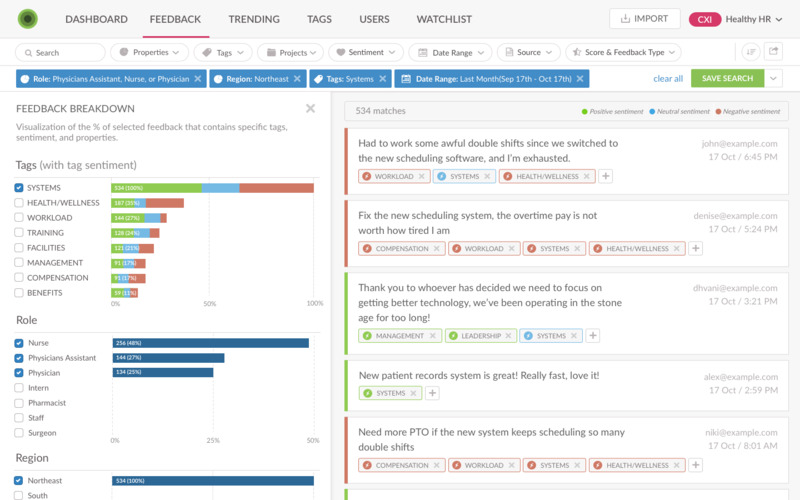 Wootric takes a hands-on, industry-by-industry approach to text and sentiment analysis of feedback. Millions of Wootric survey responses train our proprietary algorithms. As a result, we can surface feedback themes that are important to you and your industry. Our data scientists and customer support team take a consultative approach that delivers insight fast. CX data has the power to align your entire company around the customer. To improve customer experience, companies must get valuable CX data out of silos and into systems where it can guide product development, drive retention and upsell, and build your brand. 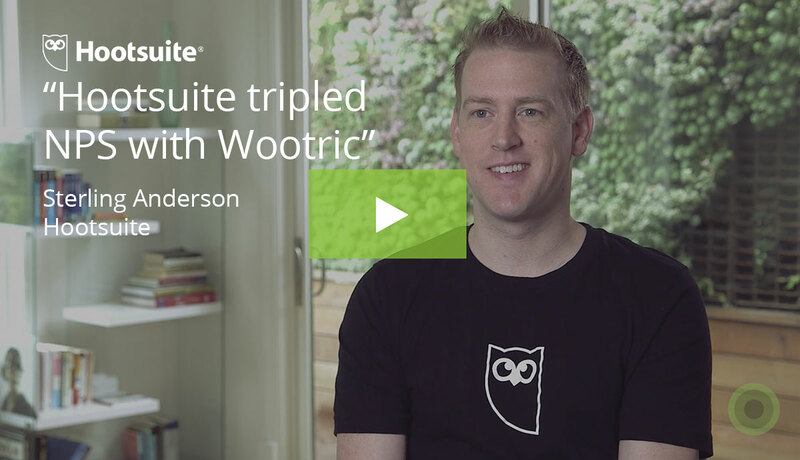 The Wootric platform is flexible, lightweight, and connects to all of your other systems of record via native integration or API.